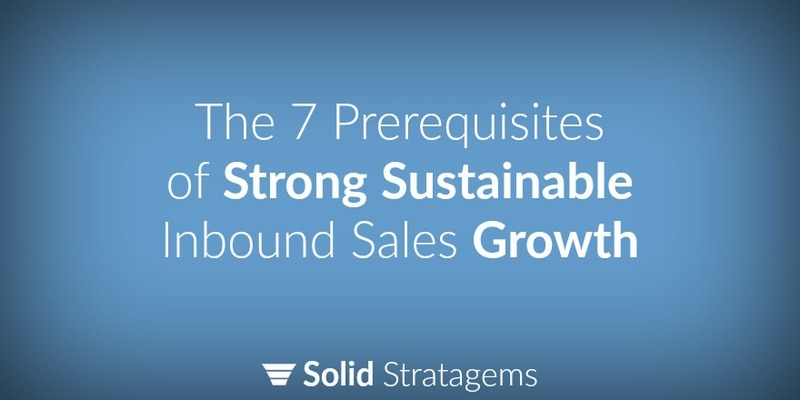 Ignore any of these seven rules and strong sustainable growth is no guarantee. Follow each of them and you’ll be protected against the most common reasons businesses fail to thrive. Learning to make decisions the right way is invaluble. When faced with decisions, especially big ones, most companies will brainstorm, talk it over and make a decision and go forward. Being decisive is good, what isn’t good is going forward with a decision that wasn’t the best possible decision (not to mention most big companies have a very difficult time reversing bad decisions, often throwing good money after bad). The goal isn’t to make the best decision the first time, the goal is to never stop working towards arriving closer and closer to the best decision. In optimization speak, it’s called – iteritive testing. It’s a five step process that never ends. Choose at least two solutions to test. Start the process over again by brainstorming for an even better solution, perform another A/B test, etc. By following these steps you will leverage the power of better data and arrive closer and closer to the best slogans, click through rates, landing pages, sales pitches, pricing structures, sign up process, customer satisfaction etc. Don’t be a company that is complacent with the same results every quarter. Be anxiously engaged in gathering data that will allow you to have 10% increase in click through rates to your site, 10% increased engagement with you site, 10% increase in order form completion, 10% increase lifetime value of customer etc. Businesses that grow without having a scalable business model eventually pop. If you want strong sustainable growth make sure you have a scalable model and systems in place that do not put a ceiling on your growth. There are a lot of variables that make up the minds of buyers. Some are looking for the lowest price, some want the most bang for their buck, others simply just want the very best (and often buyers are looking for convenience – but we’ll talk about this in a bit). Who you market to will determine who your customers are. Who your customers are will have a tremendous impact on your long term growth and success (not to mention how much you enjoy interacting with clients). Consider the following table which compares outcomes of business models that focus on winning customers through “Best Price”, “Best Value”, and “Absolute Best”. Transparent and Defined: Buyers love transparent and well defined pricing. They want to be able to see the pricing and know exactly what they are getting. Do not be afraid to put your pricing right on your website. This helps assure buyers that their will not be hidden fees or surprises. Super Simple: Pricing must be simple. If your pricing structure is transparent and defined but complex it will lead to confusion, indecision and frustration. It’s tempting to pack too many features into your packages or pricing. KEEP IT SIMPLE, LESS IS MORE. DO NOT CREATE INDECISION. Incentive to Be a Recurring/Subscribing Customer: If your business model aims to create subscribing or recurring customers your pricing structure better give buyers an incentive to do so. For example, a pressure washing company could offer 10% the one time price if the buyer signs up to have their home pressure washed annually or 20% off to have the service semi-anually. High enough to be able to provide the best products and/ or service. High enough to be able to hire and retain the best employees (this is HUGE! HUGE! HUGE! If you can’t retain your best employees you are going to be fighting an uphill battle). High enough to have a 10% budget for inbound marketing. High enough to have at least the industry’s average profit margin. You must have the highest quality products and/or service, but not necessarily the highest prices. That said, if you are truly following guidelines 1-4 your pricing is probably in the industry’s top 20%. Not all marketing is created equal. Some methods have a much better ROI than others. The following five marketing methods are listed in order of ROI for most local and small businesses. The internet has made it much easier to build a strong or terrible reputation quickly. It is a huge game changer when your reputation is clearly the best and the strongest. As stated before you better be and remain committed to being the very best. If you allow your reputation to go south… well good luck. Companies that experience strong growth aren’t followers (remember that part about being data-driven?). They don’t wait until someone else is doing it! They are the market leaders! They assume the whole industry has it wrong. They test ideas they get from consumer feedback. They test those ideas, and when the data says the idea is great, they implement the ideas. The rest of the industry tries to keep up and copy what disruptive companies do.